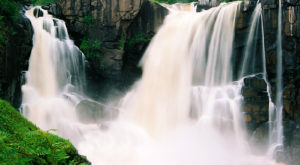 Compared to many other states, Minnesota is home to a huge variety of waterfalls. Whether you’re content with a creek waterfall with a modest drop or a 120-foot waterfall in deep wilderness, you’re bound to find something to love. Even better than viewing a waterfall is taking a scenic hike to get there. Minnesota has plenty of such hikes, each as beautiful as the next. 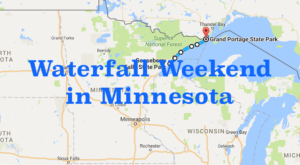 Next time you have a hankering for a waterfall hike in Minnesota, why not check one of these off your bucket list? Okay, so Minnehaha falls isn't exactly deep in the woods. But that doesn't mean it's not worthy of your bucket list. This "hike" is probably the easiest of the bunch, with just a few hundred feet between your car and the waterfall. If you're up for a little more exercise, take the stairs down to the base of the falls. The hike back up will do the trick! Click here to read more. 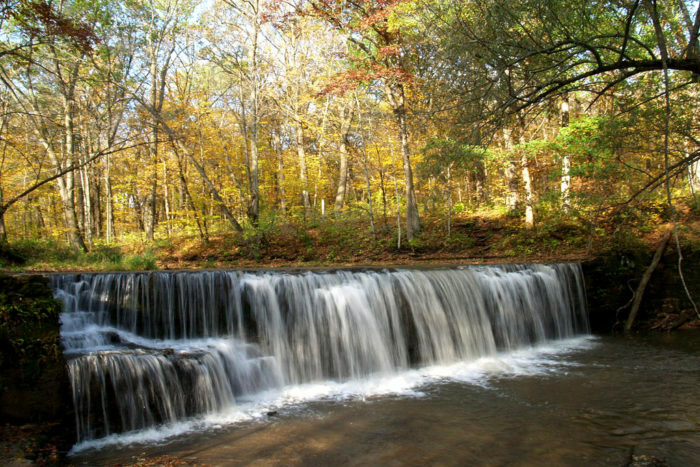 In the little-known Nerstrand Big Woods State Park is an even lesser known waterfall - and the second Hidden Falls on our bucket list. 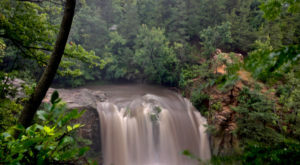 While the St. Paul falls is beautiful, the waterfall at Nerstrand Big Woods has the advantage of being surrounded by thick foliage on every side. 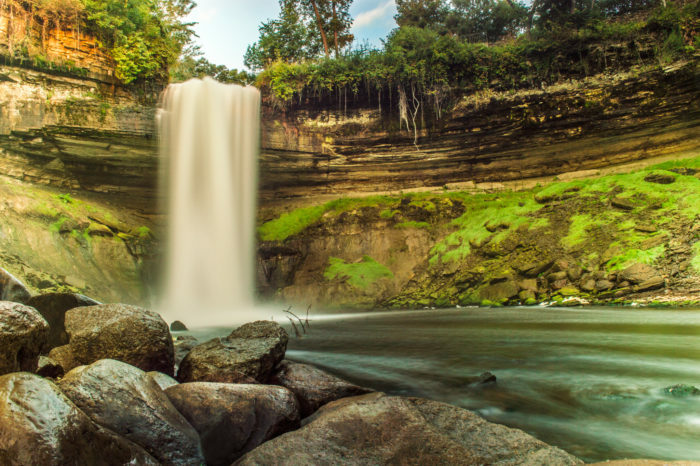 When you stumble upon the waterfall, it'll feel like you've discovered one of Minnesota's hidden secrets - especially if no one else is visiting. 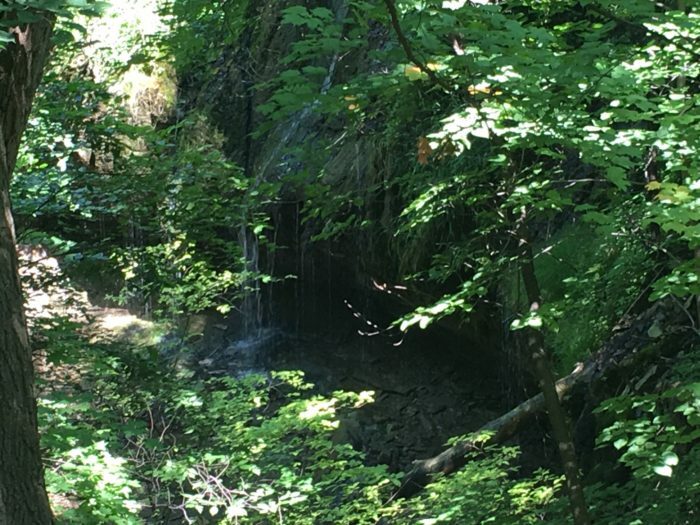 This waterfall is just a 1/2-mile walk from the parking lot, but it feels like another world. Click here to learn more. Have you ever heard of Kawishiwi Falls? Most Minnesotans haven't. But that's even better reason to go check it out. 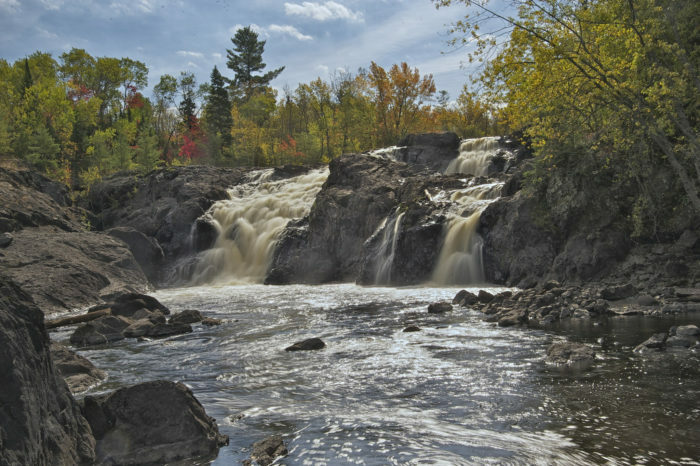 This little-known waterfall hike offers peace and quiet as you trek through the Boundary Waters to this beautiful little spot. The waterfall has a few drops, making it even more picturesque. Even better, this hike is only about 1.5 miles long! Click here to read more. 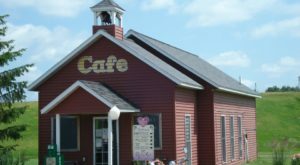 Though Pipestone is a bit out of the way, it is near so many beautiful places in Minnesota that you could easily spend a long weekend exploring the area. 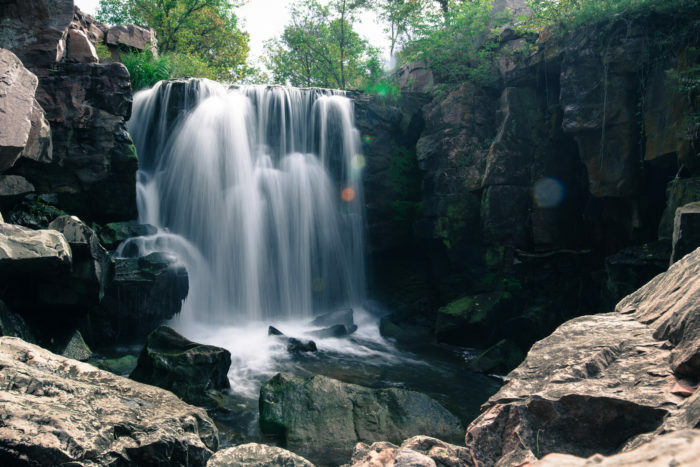 Winnewissa Falls is found at the beautiful and historic Pipestone National Monument. 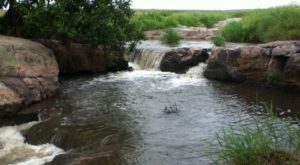 The hike passes through stunning prairie and alongside a scenic creek to its most beautiful sight, a waterfall flowing over pink quartzite cliffs. 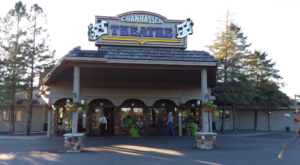 This magical spot is a must-visit for all Minnesotans. Click here to read more. 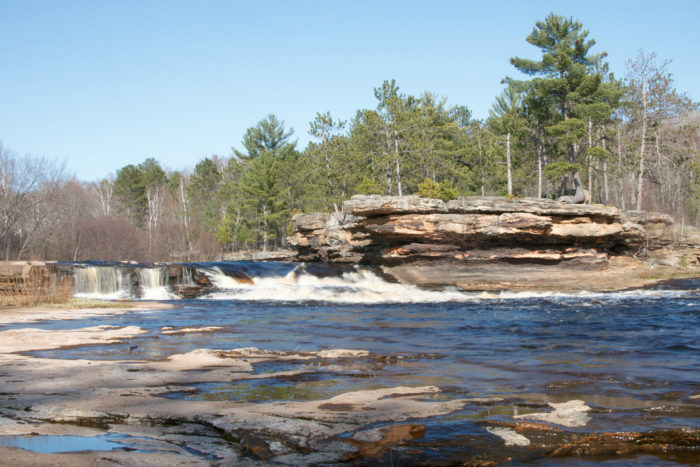 At Banning State Park, the rushing rapids of the Kettle River are the main attraction. After all, they hold the beautiful Big Spring Falls, a lovely waterfall that draws many yearly visitors to this east-central Minnesota park. But the hike itself - just 3/4 miles long - is a lovely trek through the forest. It's especially beautiful when the leaves start to change in fall. Click here to read more. 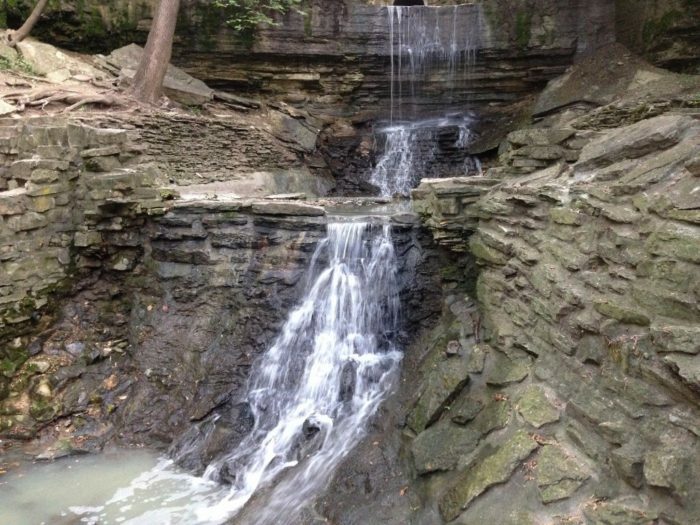 Minnehaha Falls isn't the only waterfall within city limits. In nearby St. Paul, Hidden Falls Regional Park holds a lovely waterfall that is well worth the visit if you're in the area. The park holds 6.7 miles of trails, though the trek to the waterfall is much shorter than that. The trickling water of Hidden Falls makes the journey worth it. Click here for more information. 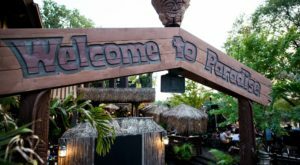 Here's another St. Paul waterfall that you may not know about. Shadow Falls is found at Shadow Falls Park, right on the banks of the Mississippi River in St. Paul. From the river overlook, turn off the paved paths for a trek through quiet, shadowy woods. You'll hear the sound of the waterfall long before you see it, but when you do, it will feel nothing short of magical. With sunlight filtering through the thick forest canopy, you'll feel like you've found your own little oasis within the city. Click here to read more. Way up on the Canadian border, the High Falls of the Pigeon River is easily accessible by hike. The paved trail is about 1/2 mile through the woods, so you'll have plenty of time to stop and enjoy the scenery. This beautiful waterfall has a 120-foot drop, making it the tallest waterfall in Minnesota. If you're willing to make the long drive to the border, you'll love checking this waterfall off your bucket list. Click here to read more. 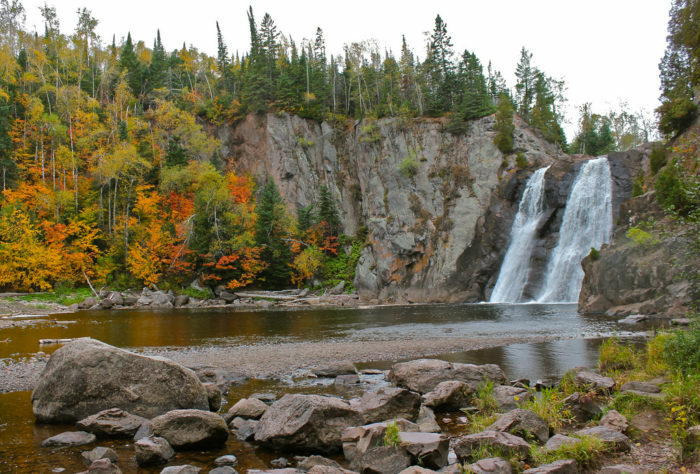 Located at Tettegouche State Park on the North Shore of Lake Superior, the High Falls of the Baptism River is the second-tallest waterfall in Minnesota - and the tallest located completely within the state. 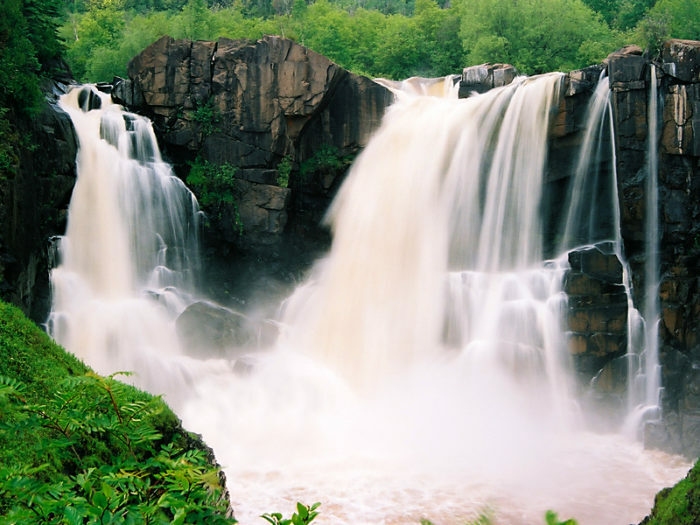 After a short hike through rugged northern forest, visitors will see a rushing waterfall tumbling over rocky cliffs. It's best to visit in the summer and fall, when the surrounding trees are bright with color. Click here to read more. 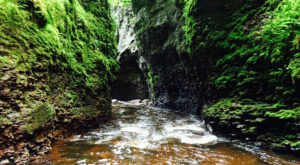 Have you done any of these waterfall hikes? Which is your favorite? Let us know in the comments below!